PJSC Donbasenergo has signed a contract with Dongfang Electric International Corporation (China) for reconstruction of unit No. 6 of the Sloviansk thermal power plant (TPP) with its division into units 6A and 6B of 330 MW each. According to the company’s press release, the cost of the contract for the reconstruction using CFB technology (the technology of coal combustion in a circulating fluidized bed) is $684.296 million. According to the plan, unit No. 6A will be put into operation in July 2022, unit No. 6B in July 2023. The units will burn steam coal. The project implementation will extend the life of thermal power plants by 40 years, increase their operation efficiency, reduce specific fuel consumption and maintenance costs. The new units will comply with all ENTSO-E technical requirements and the European environmental directives. Reconstruction of unit No. 6 of the Sloviansk TPP will significantly reduce the cost of electricity produced, burn low grade coal without using natural gas in the load range of 40-100%. Donbasenergo Director General Eduard Bondarenko said that efficiency of the units will be at least 42%. The company seeks to receive the funds for investment in the tariff for electricity transmission in the amount of 30%. The reconstruction will be financed using the loan from a Chinese bank by 70%. 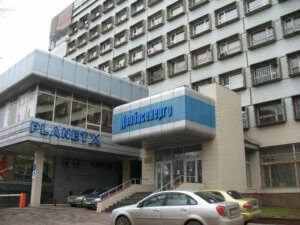 Donbasenergo operates Starobesheve (located in the occupied territory) and Sloviansk thermal power plants. 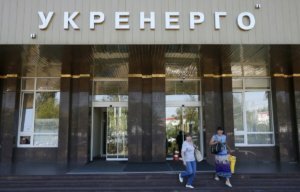 National energy company Ukrenergo plans to finish reconstruction of the Berezan 220/3510 kV substation in Mykolaiv region to accept electricity from a solar power plant of Voskhod Solar LLC with the installed capacity of 53.4 MW, the press service of Ukrenergo has reported. “The project provides for the installation of an additional power transformer to ensure the full power output of the solar power plant to the 220 kV network, and oil-filled equipment of the 220 kV switchgear will be replaced with up-to-date efficient and reliable SF6 equipment. Assembly and startup works have been finished on the reconstructed 35 kV and 10 kV switchgears, partially on 220 kV switchgear, as well as DC equipment for own needs,” the company said. Ukrenergo said that the completion of the first stage of reconstruction of the Berezan substation and the connection of 35 kV overhead lines will increase the reliability of the power supply to the resort areas of Mykolaiv region (Koblevo, Tuzly). According to the data published in the ProZorro e-procurement system, the reconstruction of the Berezan substation is being carried out by Elmiko LLC for UAH 129.976 million. 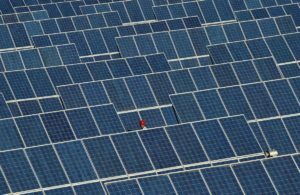 The owner of Voskhod Solar LLC is the Chinese CNBM International Corporation. Earlier, the project of construction of this plant was managed by Activ Solar belonged to fugitive brothers Andriy and Serhiy Kliuyev.